Sometimes I write about things I’ve done and so far I’ve been doing that a lot about this one trip I took waaaaaaay back in the day (a couple weeks ago). Feel free to read more over here in this part of the website. The sun rose in the mountain in the clouds and on this morning, I awoke on the Caledonian Sleeper Train in the Scottish Highlands. The clouds themselves seemingly rested below the mountain peaks as we passed by tiny train platforms in the middle of nowhere. Names like Orchy, Rannoch, and Tulloch passed by and I had no idea where we were and didn’t care. I’ve done some neat things in my life. I’ve served adorable orphans in Mexico. I’ve made the crowd go wild on a fast break dunk in a basketball game in El Salvador. Heck, I’ve been in love before, a couple of times. And I’ve certainly been existentialistic before. So I don’t know why today I felt as though there would be something bigger that would happen and make things make more sense. I would be disappointed if it wasn’t there. I’m not sure what it was I came here to find, but on this morning, I’m pretty sure I’ll find it. Looking out on the passing mountains and glens, I honestly couldn’t understand how anything on this earth could be so beautiful. After all, this was a planet where major acts of terrorism had occurred. In London I stayed around the corner from a subway station that got bombed less than a decade ago. That same year, my beloved Mississippi coast was ravaged by a natural disaster. Even now, there’s the threat of war breaking out in the Ukraine. 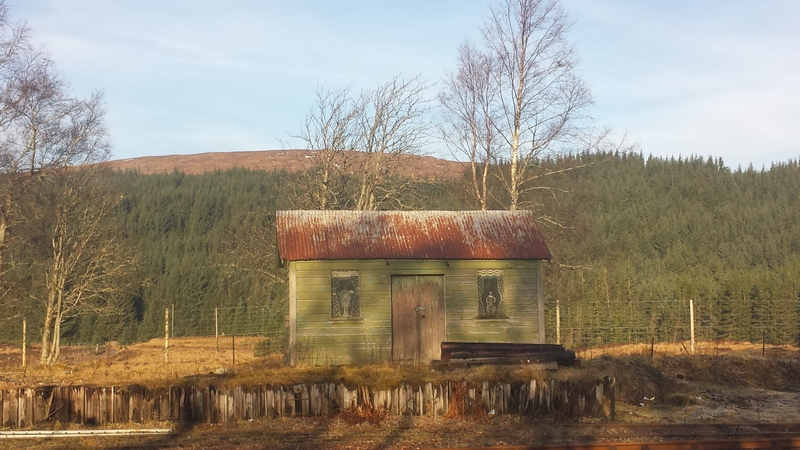 It’s a broken world for sure, and then you stumble across the Scottish Highlands and everything seems right again. 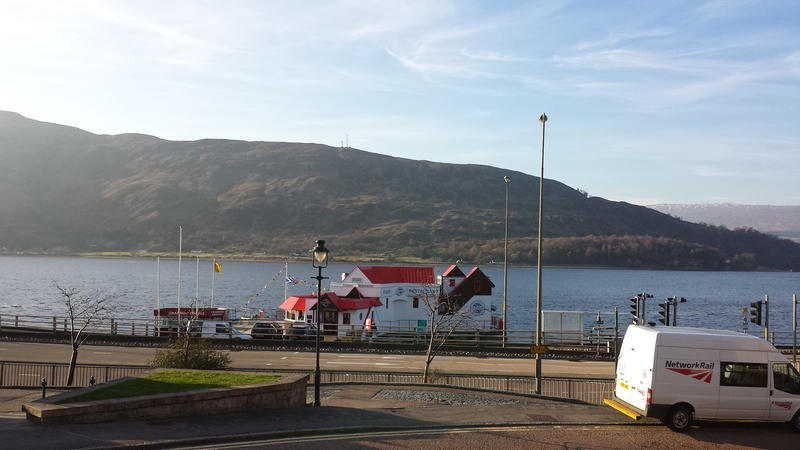 The town of Fort William is nestled under Ben Nevis, the UK’s tallest peak. The beauty of the place is inescapable. 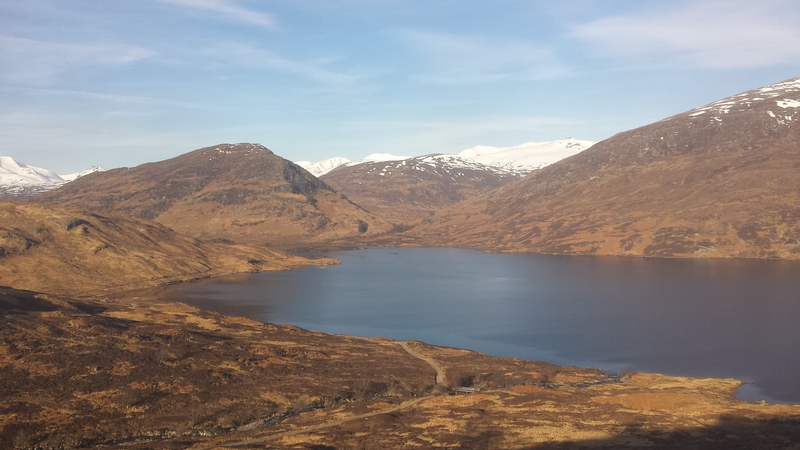 The mountain ranges towering overhead give way to the clear blue lochs that the pubs and houses overlook. No matter where you look, things are scenic and peaceful, almost as if the world wasn’t so broken. Zach and I knew the name of where we wanted to go, a waterfall hidden away on a short hike, but had no clue how to get there. The people at the train station weren’t sure if any buses went that way this time of year. We went with our only option, picked a taxi on a whim, and asked the driver what to do. As it turns out, we had picked Veronica, a chatty Fort William native who quickly became a highlight of the entire trip. Veronica had been driving taxies for nearly two decades, and as she drove us through many detours (always turning the meter off to get away with showing off her home), she shared as many stories as possible. She explained that the “mountain rescue boys” did a fundraiser every year where they jumped into the lower falls and floated down the river, though she never said how exactly it raised funds. She responded to every phone call with “Oh, in the name of the wee man!” which is a common Scottish phrase of surprise or exasperation (the wee man in this case is THE DEVIL). She told everyone she chatted with that she was with “the boys from Mississippi” as if everyone in Fort William knew who we were. She was awesome, and she took us straight to where our path started. Immediately, Zach and I were in awe. The train ride was beautiful, but standing on this quiet path, with nothing but trees and mountains around us, was absolutely breathtaking. The sound of the melted snow running down the sides of the hills, cutting its own path, was incredibly calming. It started to make sense to me why I wanted to be here so badly. Standing next to those mountains made me feel so wonderfully small, like I love to feel. I was probably looking for some sort of spiritual connection to the MacGregor side of my Scotchtaw (Scottish/Choctaw) roots. I wanted to deal with the disillusionment I often feel so strongly by surrounding myself with pure wonder. More than anything else, though, I knew that these gorgeous scenes were what I was looking for because I could stare into them forever. I could lose myself in them. And I wanted so badly to get lost. To disconnect and disappear. I could wander into these highlands and fall off the face of the earth. This was far away from everyone and everything I knew, and not only that, it was far away from any sort of cell phone signal or technological connection. I wanted to travel because I wanted to run away. Here, I could run away from it all, and I had. Running had led me here. The path goes around the side of a rocky crevice for probably close to a mile and a half, but it suddenly opens. 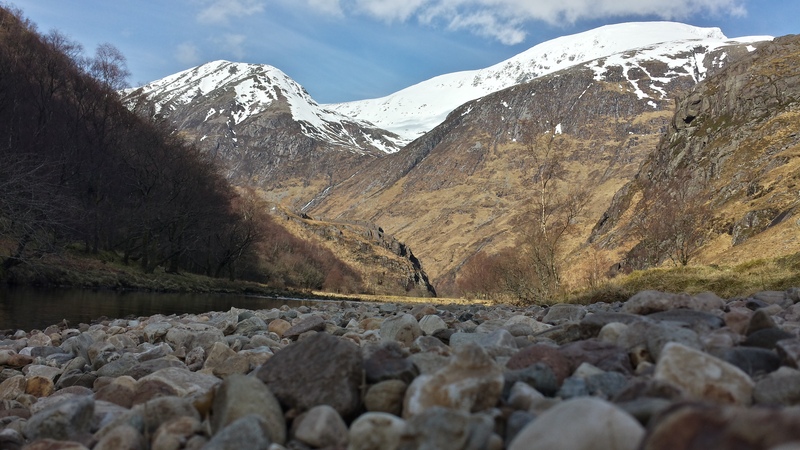 And when it opens, you are there, exposed, standing in the midst of Glen Nevis and astounded by what you see. There is the rolling green glen, surrounded on all sides by incredible peaks. There is the stream, running straight through the middle and clearer than the most filtered water I could have found. And there, right in plain view, is the unbelievable sight of Steall Falls, the centerpiece of the entire majestic area. I wanted to run out into the field, lay down, and never get back up again. When I stepped into the clearing, the strangest thing happened. It was the place where I wanted to disappear into, but as soon as I stood there, everything changed. As cynical as I have been, as disillusioned as I have felt, and as frustrated as I have been with nearly all of humanity, I should have finally been completely at peace with falling off the face of the earth. But I wasn’t. In fact, all I wanted in that moment was to have everyone I know right there with me in that place. I had felt more at peace than I have probably ever felt, especially the most I’ve felt in over a year. And all I wanted was to share it. 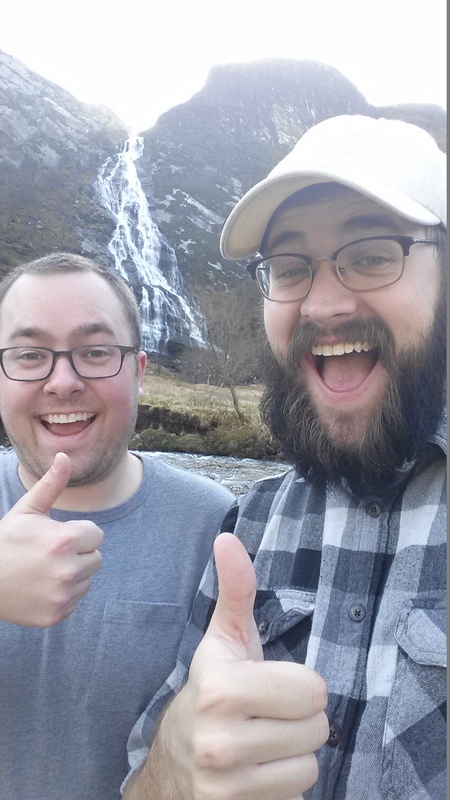 So we took a waterfall selfie! A lot of people fell into some overly-Romantic affair with Into The Wild when the movie came out, deciding that material goods were bad and isolation was great. They missed that fundamental aspect of life that Christopher McCandless mentioned: that life is only worth living if it is shared with others. That’s why Zach and I just had to look all around us as we stood there, then back to each other and laugh. That’s why Veronica wanted to tell us about this special tree her family had planted 16 years previous, when her aunt passed away. They’ve spread the ashes of other family members on the tree since then. 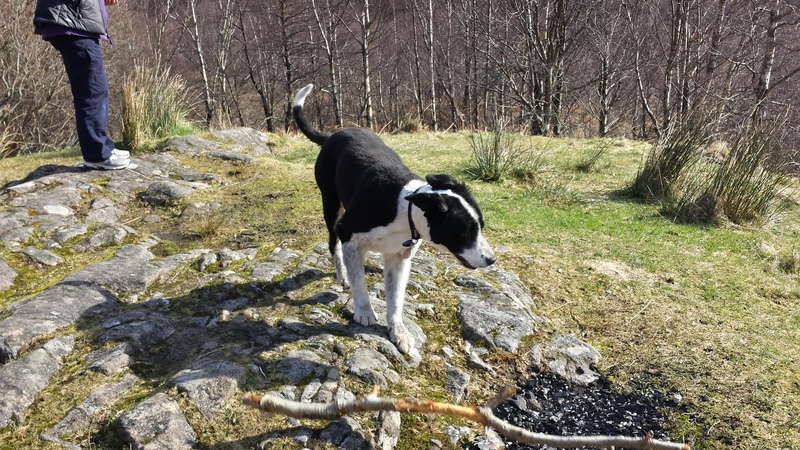 It’s why, while she drove us back from the magical place, she took the time to drive us around to a spot where we could watch a helicopter attempt a dramatic rescue mission at the peak of Ben Nevis (everyone made it out safely). She had to share it with her dear boys from Mississippi. I went to the Glen to disappear, but then I recalled how much better it is to be visible. I went there to stop caring about so much, but I only stopped caring long enough to remember what it was even like to properly care. I went there wanting something I couldn’t identify and wanting to change, and I know that with this little reset, I can come back changed. I don’t understand how anything on this broken earth can be so beautiful, but I know that I must share the beauty I have found with this entire broken earth.